Computer-aided manufacturing refers to the manufacturing process of machining, assembling, testing and packaging of discrete products automatically in the machinery manufacturing industry through the use of electronic digital computers through various numerical control of machine tools and equipment. Referred to as cam. In addition to the narrow definition of cam, the International Computer Aided Manufacturing Organization (cam-i) has a broad definition of computer-aided manufacturing: “through direct or indirect computer and enterprise material resources or human resources interface, the computer technology Effective in the management, control and processing operations of the enterprise. “According to this definition, computer aided manufacturing includes enterprise production information management, computer aided design (CAD) and computer aided production, manufacturing 3 parts. Computer-aided production, manufacturing, including continuous production process control and discrete parts automatic manufacturing two computer control methods. This generalized computer aided manufacturing system is also known as the overall manufacturing system (ims). The use of computer-aided manufacturing parts and components can improve the product design and variety of adaptability, improve processing speed and production automation level, shorten the processing time, reduce production costs, improve product quality and mass production of labor productivity. 1, the product and process modeling How to use the computer to identify the data (information) to describe the description of the product. Such as the description of the product shape structure, the description of the product processing characteristics, how to describe the grid and boundary conditions required for finite element analysis, and so on. 2, graphics and image processing In the CAD / CAM system, the graphic image is still the main form of product shape and structure, so how to express graphics in the computer, the graphics of a variety of transformation, editing, blanking, lighting And other processing is the basic function of CAD / CAM. 3, information storage and management design and manufacturing process will produce a large number of a wide range of data, such as design analysis data, process data, manufacturing data, management data. Data types are graphic, text, sound, video, etc . ; structured and unstructured data; dynamic and static data. How to CAD / CAM system to produce these a lot of electronic information storage and management, is the CAD / CAM essential function. 4, engineering analysis and optimization of the calculation of volume, center of gravity, moment of inertia, institutional motion calculation, dynamic calculation, numerical calculation, optimization design. 5, engineering information transmission and exchange of information exchange CAD / CAM system and other systems of information exchange and the same CAD / CAM system of different functional modules of the exchange of information. 6, simulation and simulation In order to test the performance of products, often need to carry out various tests and testing of products, the need for specialized equipment and produce samples, and destructive, long time, cost. Through the establishment of the product or system of digital mode, the use of computer simulation technology can solve this problem. Such as machining trajectory simulation, mechanism motion simulation, workpiece, tool and machine collision and interference test. 8, the input and output of information input and output of human-computer interactive input and output and automatic input and output. The CAD / CAM system consists of hardware and software systems. Hardware system refers to the physical devices that can be touched, such as host equipment, terminal equipment, network and communication equipment, input and output devices, CNC machining and control equipment. Software system usually refers to the sum of the program and its related documents, the software system is generally divided into system software, support software and application software. From a different perspective, CAD / CAM systems can be divided into different types. 1, to mainframe or small computer host, multi-user time-sharing system. Host system features: 1) Peripherals and user workstations connected to the host, the user workstation at least one graphics workstation and a set of graphics processing equipment (such as graphics terminals, graphics input and output devices, etc.). 2) Advantages: host function, can handle a lot of information, such as analysis and calculation, simulation, performance depends on the software level. 3) Disadvantages: system specificity, more closed, too many terminals, the system slows down, the price is higher. In addition, the reliability of the system depends on the host (host failure, the entire system will be paralyzed) . 2, engineering workstations or single-user systems for microcomputer systems. This system features: 1) each engineering workstation or computer system can independently complete the CAD / CAM system required by the task; 2) lower prices; 3) high reliability. According to the function, CAD / CAM system can be divided into CAD, CAM, CAD / CAM. 1, CAD system: specifically for the design and the establishment of the system, to complete the design tasks, such as modeling, plans, engineering analysis simulation and simulation, document management. Do not have CNC programming, processing simulation, production control and management. 2, CAM system: with CNC programming, processing simulation, production control and management functions, almost do not have the shape, plans, engineering analysis simulation and simulation functions. 3, CAD / CAM system: CAD and CAM with all the features, and information can be automatically exchanged. Has become mainstream. According to whether the use of computer networks, CAD / CAM system can be divided into stand-alone systems and network systems. Computer network: A collection of autonomous computers connected via communication lines. Including three meanings: 1. There must be two or more computers with independent functions connected to each other to achieve the purpose of resource sharing; 2, connected to the computer must have a channel for information exchange; 3, Information exchange between computer systems in the same network must follow a common agreement and rule. 1, stand-alone CAD / CAM system: with all the CAD / CAM software and hardware features. But can not exchange information with other CAD / CAM. Information can not be shared. 2, the network CAD / CAM system: will have CAD / CAM software and hardware functions of the various nodes with network equipment and communication lines to connect to form a network of CAD / CAM system. Can achieve resource and information sharing. Has become mainstream. The network structure is in the form of star, ring, bus and network. Because the bus type has strong compatibility, openness and good scalability and other characteristics, therefore, the bus has become the mainstream. Computer-aided manufacturing is the core of computer numerical control (NC), is the computer used in the manufacturing process of manufacturing processes or systems. In 1952 the United States MIT first developed into CNC milling machine. The NC feature is controlled by the program instructions programmed on the perforated tape to control the machine. Since then the development of a series of CNC machine tools, including called “processing center” of the multi-function machine tools, from the magazine automatically change the tool and automatically change the working position, to complete the milling, drilling, hinge, tapping and other multi-channel process , These are controlled by the operation of the program instructions, as long as the program can change the process can change the process, CNC processing flexibility called “flexible.” The preparation of the processing program requires not only a lot of labor, but also prone to error, the earliest CAM is the computer-aided machining parts programming work. Massachusetts Institute of Technology in 1950 research and development of CNC machine tool processing programming language APT, it is similar to FORTRAN high language. Enhanced geometric definition, tool movement and other statements, the application of APT to make the program becomes simple. This computer-aided programming is batch processing. CAM systems generally have both data conversion and process automation functions. CAM involved in the scope, including computer numerical control, computer-aided process design. CNC is widely used in the control of other equipment, such as punching machine, flame or plasma arc cutting, laser beam processing, automatic plotter, welding machine, assembly machine, inspection machine, automatic weaving machine, Computer embroidery and clothing cutting, etc., as the basis for the corresponding industry CAM. The computer-aided manufacturing system is designed to control and manage the multifaceted work of the manufacturing process through a computer hierarchy. Its goal is to develop an integrated information network to monitor a broad range of interrelated manufacturing operations and to control each of the overall management strategies Work. From the perspective of automation, CNC machine tool processing is a process automation process, the processing center is to achieve part or all of the mechanical processing process automation, computer direct control and flexible manufacturing system is to complete a family of parts or different parts of the automated processing of parts, And computer-aided manufacturing is a general concept of computer entry into the manufacturing process. A large-scale computer-aided manufacturing system is a computer hierarchical structure of the network, which consists of two or three computers, the central computer to control the overall situation, to provide processed information, the main computer management of a part of the work, and subordinate Computer workstations or microcomputers issue instructions and monitor, computer workstations or microcomputers to undertake a single process control process or management work. The computer-aided manufacturing system can be divided into hardware and software. The hardware is CNC machine tools, machining centers, conveying devices, loading and unloading devices, storage devices, detection devices, computers, software, database, computer-aided process design, Computer aided NC programming, computer aided tooling design, computer aided job planning and scheduling, computer aided quality control, and so on. CNC system is the control part of the machine tool, which according to the input part drawing information, process and process parameters, according to human-computer interaction to generate CNC machining program, and then through the number of electric pulses, and then driven by the servo drive system components for the corresponding movement. The so-called NC programming is based on CAD geometric information from the CAD and parts from the CAPP process information automatically or under the intervention of the NC code to generate the process. Commonly used CNC code are ISO (International Organization for Standardization) and EIA (American Electronics Industry Association) two systems. Where the ISO code is the seven-complement code, that is, the 8th bit is the complement bit; and the EIA code is the six complement code, that is, the fifth column is the complement bit. The purpose of complement and bugs is to facilitate the inspection of the tape reader. The general numerical control program is composed of program words, and the program word is represented by the English alphabet code and address code after the number and symbol composition. Each program represents a special function, such as G00 said point control, G33 said pitch thread cutting, M05 said spindle stop and so on. In general, a CNC machining instruction is composed of a number of program words, such as N012G00G49X070Y055T21 N012 said the first 12 instructions, G00 said point control, G49 said knife repair preparation function, X070 and Y055 said X and Y coordinates , T21 indicates the tool number command. The meaning of the entire instruction is: fast moving to the point (70,55), on the 1st knife to take the No. 2 dial on the knife compensation. (1) manual programming; (2) CNC language programming; (3) CAD / CAM system programming; (4) automatic programming. Visible, manual programming also includes the development of the contents of the process, manual programming has been used very little. The use of CNC language programming is often referred to as “automatic programming”, this name comes from APT (Automatically Programmed Tools) NC programming language. In fact, it is not an automated programming tool, just a step forward than manual programming, to achieve the use of “advanced programming language” to prepare the NC program. Programming in numerical language is to use special language and symbols to describe the geometry of the part and the trajectory, sequence and other process parameters of the relative movement of the tool. The process is described by a numerical language similar to the computer’s high-level language. The programming process, in particular, eliminates the need for numerical computation and improves programming efficiency. The program written in the numerical language is called the source program. After the computer accepts the source program, it is first compiled and processed by the post-processing program to generate the numerical control program for controlling the machine. The commonly used NC programming language is the APT language developed by the Massachusetts Institute of Technology. APT language rich vocabulary, the definition of the geometric type and more, and with a variety of post-processing procedures, versatility, access to a wide range of applications. APT language source code is composed of statements, there are four types of statements. The statement is composed of vocabulary, numerical, logo, etc. by a certain grammar rules. The general form of the geometric definition statement is: <identifier> = <geometric element special word> / parameter For example, in the statement C1 = CIRCLE / 20, 80, 12, 5, C1 is the name defined by the geometric element, VIRCLE is the geometric element type (Circle), 20,80,12,5, respectively, that the center of the coordinates and radius values. The tool movement statement is used to simulate the movement of the tool during machining. In the APT with three surfaces to define the tool position and movement trajectory. The three surfaces are the part plane (PS), the guide surface (DS) and the inspection surface (CS). The process data statement is used to describe the process data and some control functions. For example, the use of SPINDL / n, CLW said spindle speed (n) and rotation direction (CLW), using CUTTER / d, r said milling cutter diameter and tip radius and so on. The initial statement indicates the name of the program, and the termination statement indicates the end of the part program. The initial statement consists of “PARTNO” and the name, and the terminating statement is represented by FIN1. Programming in CNC language is much simpler than manual programming, but it is still time consuming for programmers to write source programs. To this end, and later developed the CAD / CAM programming technology. Up to now, almost all large CAD / CAM applications have CNC programming capabilities. In the use of this system programming, the programmer does not need to write a numerical control source program, only need to call out from the CAD database parts graphics file, and displayed on the screen, using multi-level function menu as a man-machine interface. During the programming process, the system also gives a lot of tips. This method is easy to operate, easy to learn, but also greatly improve the programming efficiency. General CAD / CAM system programming part includes the following basic content: query processing parts of the graphic elements of the geometric information; the design information for processing; tool center track calculation; define the tool type; define the file file data. For some powerful CAD / CAM system, and even includes the data post processor, automatic generation of CNC machining source, and processing simulation, used to test the correctness of the NC program. The CAD / CAM system programming, the programmer still need too much intervention to generate a digital source program. With the development of CAPP technology, NC automatic programming is possible. The system obtains the geometric information of the part from the CAD database, obtains the process information of the part processing from the CAPP database, then calls the NC source program to generate the numerical control source program, then dynamically simulates the source program and sends the processing instruction to the machine For processing. Computer-aided manufacturing support environment in general can be divided into two aspects of hardware and software, specifically can be divided into computer hardware, computer software, databases, networks and communications. Computer hardware generally refers to the computer entity, is relative to the computer software, the computer hardware and software together to form a computer system, the computer must also have the hardware and software to work. Computer hardware can usually be divided into two parts: host and external equipment. Hosts typically include arithmetic units, controllers, power supplies, interface circuits, input and output channels (buses), internal memory, and so on. External devices usually refer to input devices, output devices, external memory, and the like. Computer software can be divided into system software and application software. The system software mainly includes the computer operating system and the support software, the support software generally refers to the user for the second development tool (or platform), the application software refers to the user to develop the special software. The database system is built on the basis of the computer system, which consists of computer hardware, database management system, users and their applications, database administrators and other components. Computer network refers to the geographical distribution of decentralized and has independent functions of multiple computers, terminal equipment, transmission equipment and network software to achieve interconnection, the formation of resource sharing of computer groups. The computer network consists of two parts: hardware and software. The network hardware includes a computer system, a terminal device, a communication transmission device and the like. Network software includes network operating system, network database, network protocol, communication protocol, communication control program and so on. Data communication refers to the transmission, exchange and processing of information. It is the third generation of communications after the telegraph and telephone. It is not a simple data communication, but the original information to organize, systematize, the essence of the time in the appropriate time to carry out to play a role. Group technology is the foundation of computer aided manufacturing system. It emerged from the group of 50 years of group processing, the development of the 60’s into the group process, the emergence of a group of production units and group processing lines, and its range from a simple mechanical processing extended to the entire product manufacturing process. After the 1970s, group technology and computer technology and numerical control technology, developed into a group technology, there have been computer-to-parts classification and coding, group technology-based flexible manufacturing system, and systematically applied to product design , Manufacturing process, production management and many other fields, formed a computer-aided design, computer-aided process design, computer-aided manufacturing, and a group of technical characteristics of the computer integrated manufacturing system. Group technology is a comprehensive technology involving a variety of disciplines, the theoretical basis is similarity, the core is a group process. Group technology and computer technology, numerical control technology, similarity, methodology, system theory and so on, formed a group of technology, at this stage more computer-aided group technology characteristics. Group technology is the size, shape, similar to the parts of the composition of a part of the family, according to the division of the family to develop the process of manufacturing, thus expanding the batch, reducing the variety, easy to use efficient production methods, thereby improving the Labor productivity, for many varieties, small batch production to improve economic efficiency has opened up a way. The similarity of parts in terms of geometry, size, functional elements, precision, material, etc. is similar. Based on the basic similarity, the similarity derived from the aspects of manufacturing, operation, management and so on is called secondary similarity or derivative similarity. Therefore, the secondary similarity is the development of basic similarity, which has important theoretical and practical value. The basic principle of the group process shows that the similarity of parts is the basic condition for realizing the grouping process. Group technology is to reveal and use the basic similarity and secondary similarity, is the industrial enterprises to obtain a unified data and information, access to economic benefits, and lay the foundation for the establishment of integrated information systems. Input part information is the first step in computer aided process design. Part information description is the key of computer aided process design. Its technical difficulty is large and the workload is large, which is an important factor affecting the whole process design efficiency. (4) Because of the computer-aided process design, the information description system (module or software) should consider computer-aided design, computer aided manufacturing, computer-aided detection and other requirements in order to be able to share information. Cam has been widely used in aircraft, automotive, machinery manufacturing, household appliances and electronic products manufacturing. ① mechanical parts processing (cutting, stamping, casting, welding, measurement, etc. ), component assembly, machine assembly, acceptance, packaging storage, automatic warehouse control and management. In the metal cutting process, the computer has the basic establishment of the basic cutting condition equation, according to the measurement system measured parameters and machine work conditions, adjust the feed rate, cutting force, cutting speed, cutting operation sequence and coolant flow, Surface finish and machining accuracy of the conditions, so that processing efficiency, tool wear and energy consumption to achieve the best. ② electronic components of the device aging, testing, screening, component devices automatically inserted into the printed circuit board, wave soldering, device board, chassis wiring automatic winding, parts, the whole and the machine’s automatic test. ③ a variety of mechanical and electrical products, product testing, quality control, to complete the manual method can not complete the complex products (such as aircraft engines, ultra-large scale integrated circuits, electronic computers, etc.) a lot of testing work. 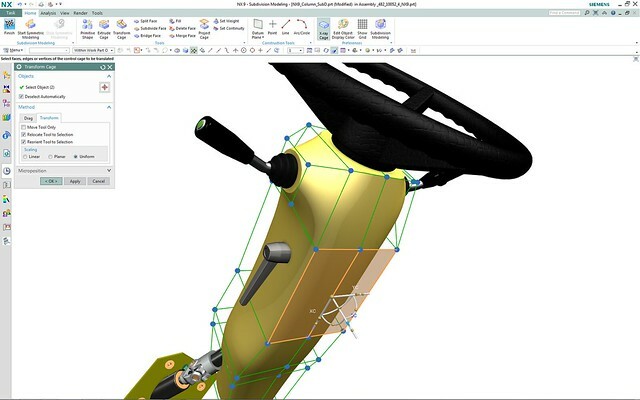 Futurescape Canada reseller of industrial design software: CAD, Finite Element Analysis. CAMFocus Inc Canada reseller of CAM, CAD software. CAM Solutions Inc Canada reseller of CAD, CAM, DNC, CIM software and solutions. Javelin Technologies Inc. Canada reseller of CAD/CAM software, 3D printer. In-House Solutions Inc. Canada developer and distributor of CAD/CAM software, DNC, PCMM, robotic programming software. CIMCO Denmark developer of CAD/CAM software, CNC program management software, data acquisition software, CNC editing tools. TOPSOLID France developer of CAD/CAM software. GO2cam International France developer of CAM software for dental labs, milling operations, turning, wire EDM. HALaser Systems - Laser Marking Solutions Germany integrated soft- and hardware solutions for laser marking industry and scientific researchers. BeamConstruct laser marking software, E1701M motor controller. MB Maschinen Germany manufacturer of EDM machines, CAD/CAM software for dental milling machines. Vectorcam Germany developer of CAM/CAD software, CNC software. unicam Software GmbH Germany developer of CAD/CAM software for industrial robots, CNC software. Tech Data Germany distributor of industrial computers and peripherals, industrial software. Tebis Germany developer of CAD/CAM software, CAQ software. SPRUTCAM Datentechnik Reitz GmbH Germany developer of CAD/CAM software, CNC editor. Sescoi Germany developer of CAD/CAM software. SCHOTT SYSTEME Germany developer of CAD/CAM software. ROBOTMASTER Germany developer of CAD software, CAM software, software for industrial robots. OPEN MIND Technologies AG Germany developer of CAD/CAM software for complex mold and parts. OneCNC Germany developer of CAD software, CAM software. MTS Mathematisch Technische Software Germany developer of CAD/CAM software, CNC software. ModuleWorks Germany manufacturer of CAD software, CAM software. DPS Software GmbH Germany developer of CAD/CAM software, CAE software, ERP software. DMG Electronics Germany developer of CAD/CAM software. Auron GmbH Germany developer of CAD software, CAM software, software for CNC, DNC, PLC. CAD partner in the construction and architecture. Siemens Germany cad cam CNC control electric motor feed drive linear motor PLC software spindle spindle drive. DATRON AG Germany manufacturer of milling machines, dental cad/cam, dental milling and grinding machines, cnc milling tools. Geometric Germany developer of CAM software. EXAPT Systemtechnik GmbH Germany developer of CAM software, CAD software, CNC editor. Cimatron Germany developer of CAD/CAM software. CENIT Germany developer of CAD/CAM software, software for robots, machines, product simulation, production planning. Camtek Germany developer of CAD software, CAM software. Camaix GmbH Germany developer of CNC software, CAD software, CAM software. Maquinaria Geka Spain manufacturer of drilling machines, punching press, laser positioner, CAD/CAM software. Antrova AG Switzerland developer of CAD, web application. Euklid CAD/CAM Switzerland developer of CAD software, CAM software. Radan UK developer of CAD/CAM software for sheet metal cutting and forming, tube cutting, 5 axis machining, one of the world’s leading PC based CAD / CAM solutions for the Sheet Metal industries. Edgecam UK developer of CAD, CAM software. EDGECAM Mill Turn, EDGECAM 4 & 5 Axis, EDGECAM 3D Milling. Delcam PLC UK developer of CAD/CAM software. TST Tooling Software Technology, LLC US distributor of CAD/CAM/CAE software for tooling industry: 2D machining, 3D machining, 5 axis machining, die & mold design. SpaceClaim Corp US developer of 3D direct modeling software, CAD/CAM software. Shop Data Systems Inc US developer of CAD/CAM software, servicing the metal fabrication industry. CAMWorks/Geometric Tech US developer of CAD, CAM, DNC software, a specialist in the domain of engineering solutions, services and technologies. Adaptive Corporation US developer of CAD/CAM software, PLM software, contract measurement services. Komo Machine, Inc. US CNC routers, CNC axis machining centers, material handling systems, production planing software, CAD, CAM. BobCAD-CAM, Inc. US developer of CAD/CAM software for mills, routers, waterjets, plasma, lasers. Atlatl Software US manufacturer of product configuration software. Applied Automation Technologies, Inc. US manufacturer of metrology software. Third Wave Systems US developer of CAE software, physics-based material modeling software and services to optimize the machining process. Surfcam US design and manufacture of toolings, mold manufacturing.developer of CAD/CAM software. Parametric Technology US developer of CAD software, CAM software. MAZACAM US developer of CAM software, CAD software, CNC editor. Autodesk US manufacturer of CAD software, CAM software, software for finite element analysis, software for FMEA, software for machining simulation. 3D design, engineering and entertainment software.